We’re going back. Waaay back. Way back to a month after I started the blog, and the first pattern I self-published. This bad boy was my first attempt at writing out a pattern… and holy cow, did that show. So many typos! So many poorly worded sentences! So much incorrect terminology! So, I’ve rewritten this and fixed a bunch of formatting stuff. It’s amazing how much my pattern-writing has improved over the last three years (if I say so myself)! 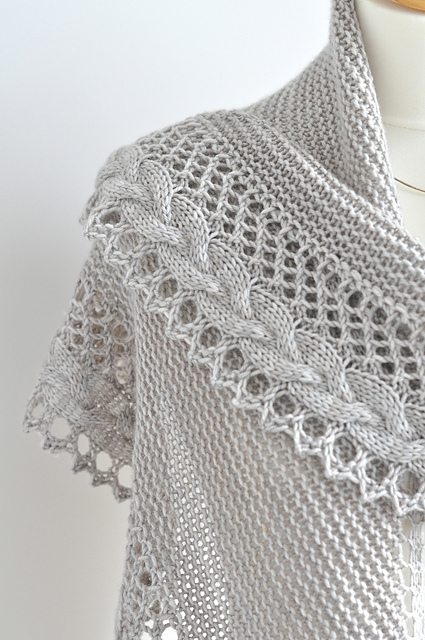 You can get the *New and Improved* pattern Lace Edged Shawl-Updated! 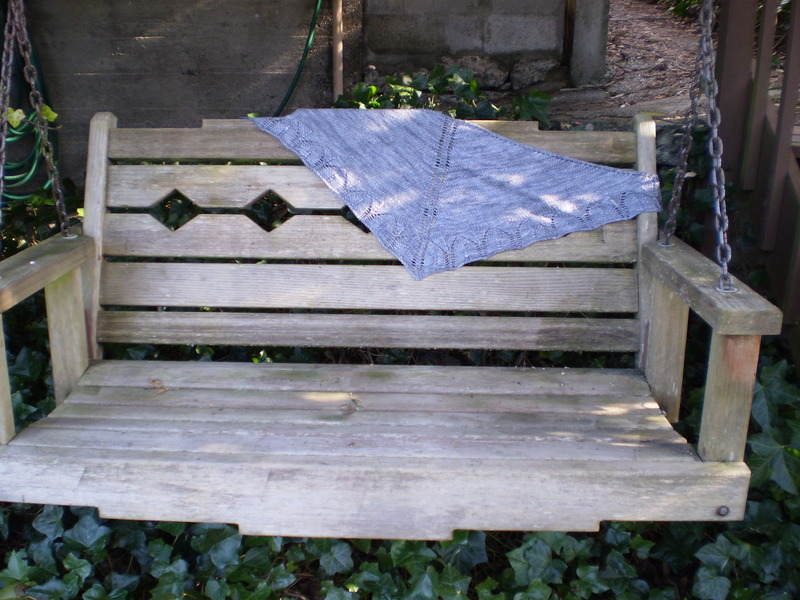 This entry was posted in Patterns and tagged lace, lace shawl, lace-edged shawl, shawl, triangle shawl, updated, updated pattern on January 27, 2016 by onemilljellybeans. Help me! I think I have a problem! 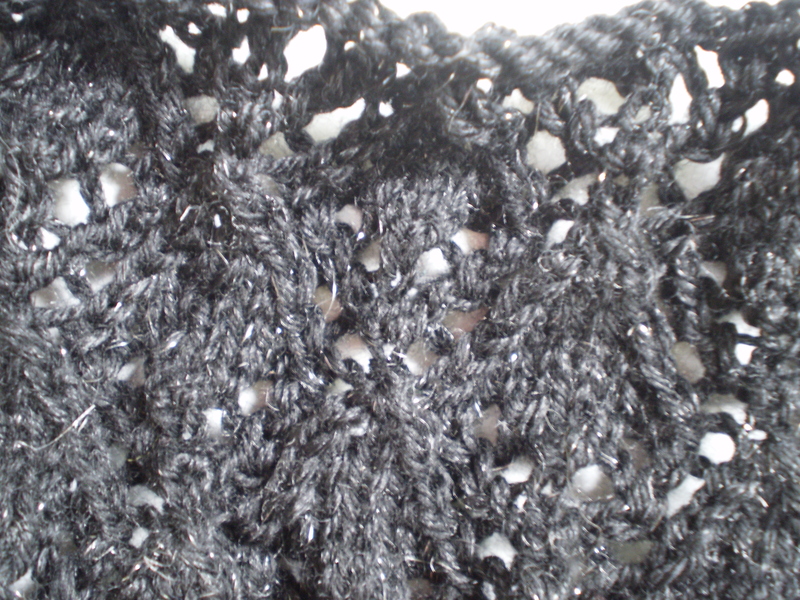 And that problem is that I’m now obsessed with lace shawls. I can’t stop looking at patterns. I’ve even gone digging through my stash and found a bunch of yarn I could use . 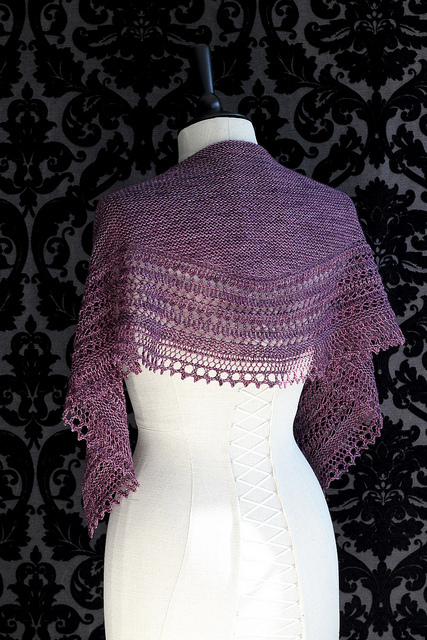 So here’s your task: talk me out of knitting one of these shawls. 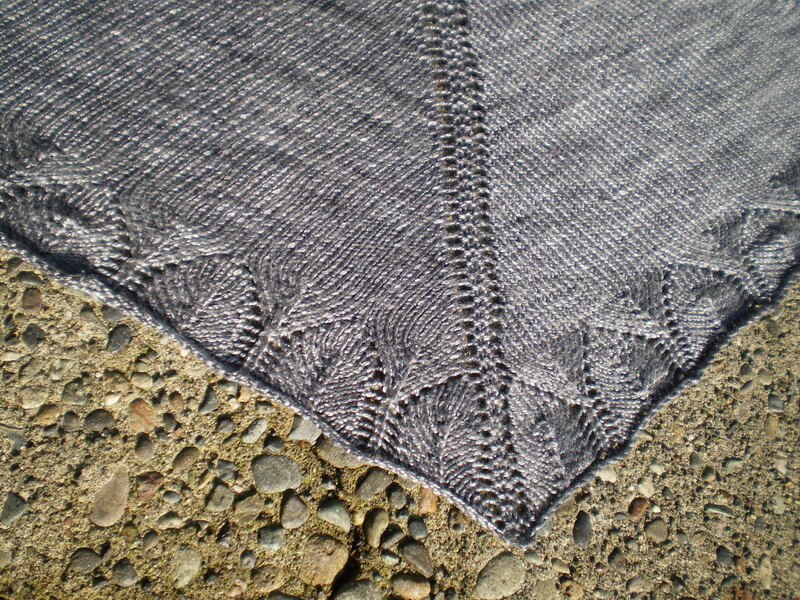 I love the garter stitch body on this one, with the big openwork edge and the chunky braided cable. Gorgeous and elegant! Look at those huge eyelets along the edge! So pretty! I love this one, too. It’s not exactly lace-y, but it is completely beautiful. 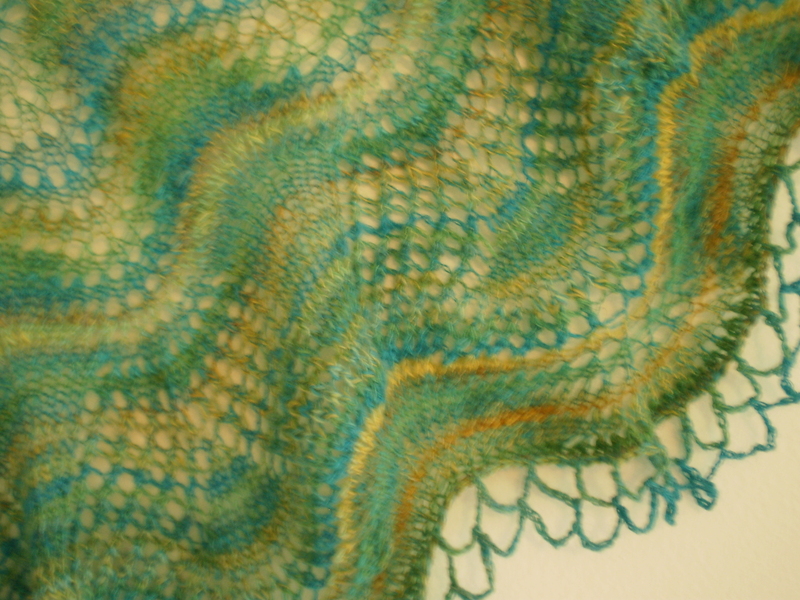 And I could use up a bunch of little skeins of leftover yarn to make the gradient stripes! Or, of course, I could (should) just keep on working on the projects I’ve already committed to. But where’s the fun in that? 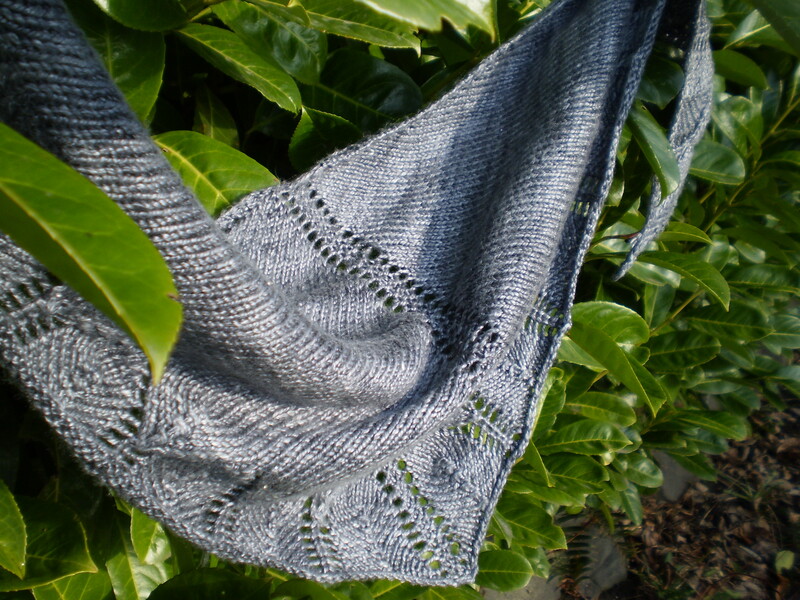 This entry was posted in Inspiration and tagged cowl, lace, lace shawl, shawl, sock, sock yarn, sock yarn shawl on July 20, 2015 by onemilljellybeans. 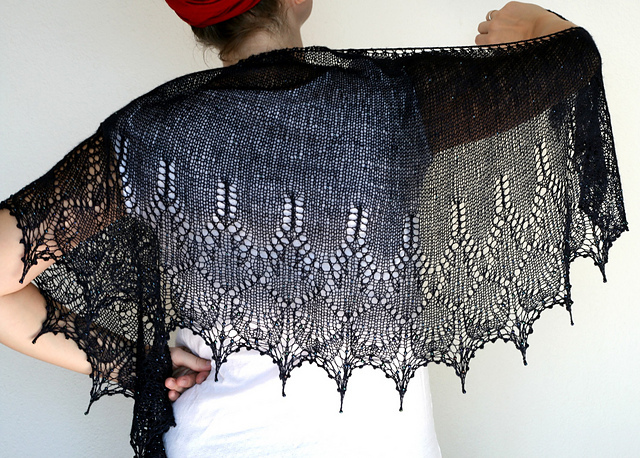 All this talk about lace (and blocking lace) has gotten me itching for a new project (despite the fact that I have a million other projects I need to be working on, and I’m working more than 40 hours a week for the summer- Wheee!). I usually am not terribly girly with my clothes. You can find me more often in flannel and jeans than dresses and lace. 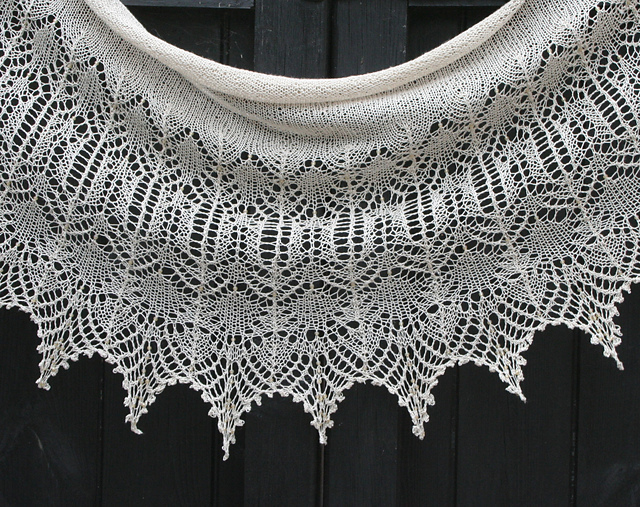 But, I admit- I’m a sucker for a gorgeous lace shawl. There’s something fantastically satisfying about knitting up something beautiful and complicated- especially with beads. 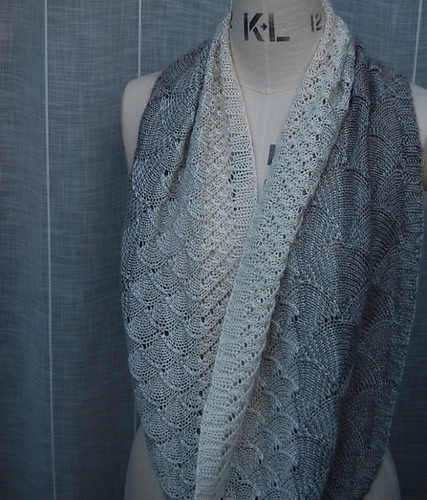 Lace shawls drape amazingly and are simply gorgeous. I don’t even wear most of the ones I’ve made over the years. I have several hanging on my walls as art. And when I’ve had a bad day, I love ogling lace shawl patterns, and lusting after skeins of luxury lace yarn at my local yarn shop. Out of Darkness by Boo Knits Snow Angel by Boo Knits Do you have a guilty knitting pleasure? 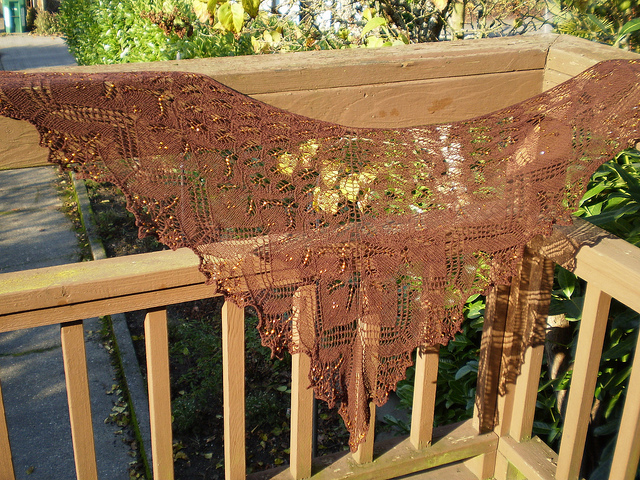 This entry was posted in Inspiration and tagged knit, knit lace, lace, lace knitting, lace shawl, shawl on July 15, 2015 by onemilljellybeans. Nothing makes me happier than finishing a big lace project- a shawl, a scarf, or a fancy-pants sweater, and stretching it out across my blocking boards. 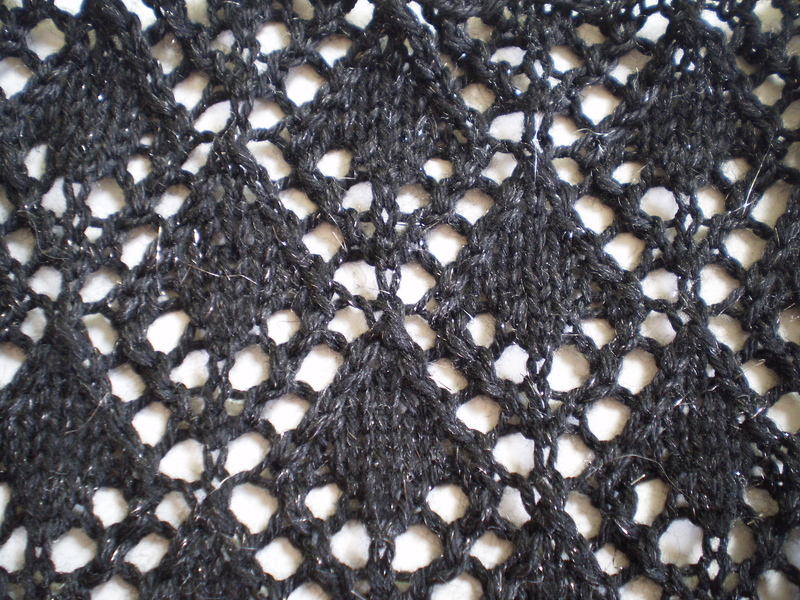 There’s something alchemical and transformative about blocking lace. It’s kind of magical. You start with a little blob of knits, purls and yarn overs, and toss it in some water to soak. It stretches, and changes, and I think I’m going to accidentally rip it in half (especially if it’s something particularly delicate). But, then, I get it pinned out, and hey, presto! 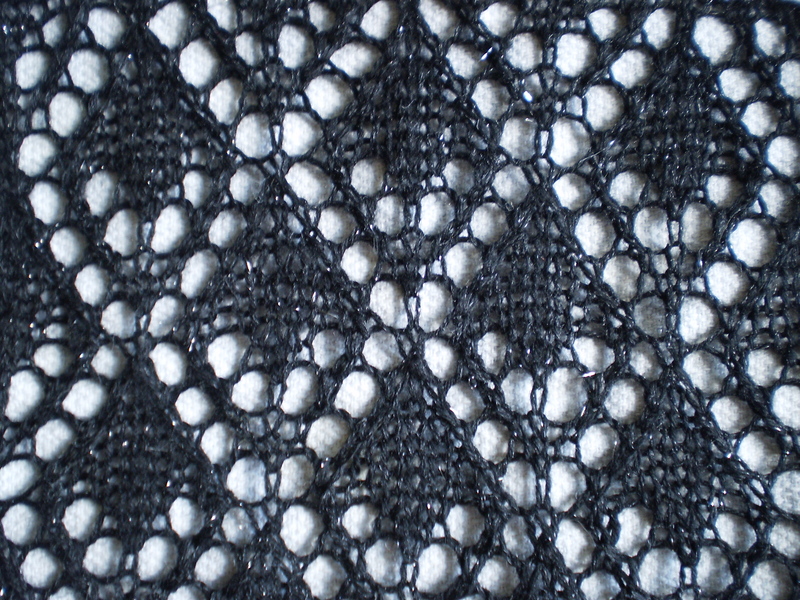 You can suddenly see all the lovely stitch detail. Even when you remove it from the board, the fabric is totally transformed from the ugly knot you started with. Now, it’s flat, beautiful and incredibly drape-y and wonderful. Knitting lace can be a tedious and slow process, but there’s nothing more satisfying than pulling out the last pin from your dried shawl and looking at your beautiful creation. 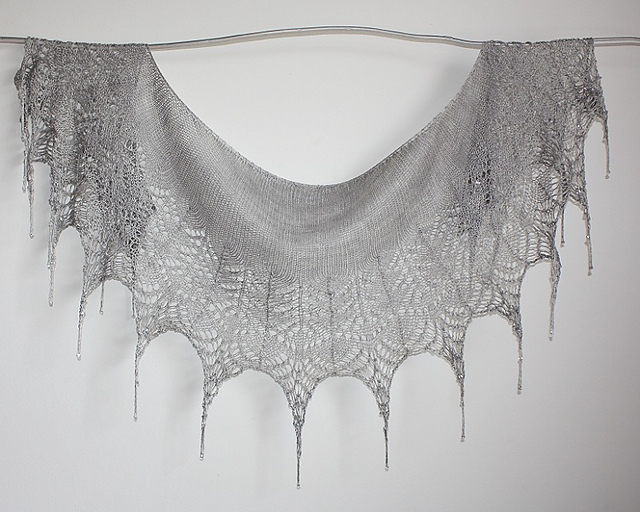 This entry was posted in Tutorial and tagged blocking, knit lace, knitting, knitting lace, lace, lace blocking, lace shawl, shawl on July 13, 2015 by onemilljellybeans.